To text or not to text? It wasn’t even a question. When 24-year-old Edd Joseph dropped £80 for a PS3 on Gumtree, he never expected the seller would take his money and run. to him’ which turned to ‘what is a really long book’, which ended with me sending him Macbeth,” Joseph told The Telegraph. 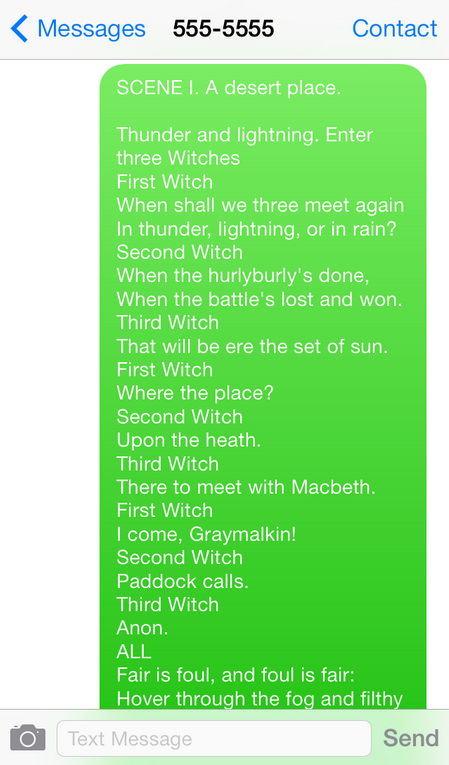 Macbeth” soon led to “Hamlet,” “Othello” and 19 other plays sent entirely through text message, about 17,424 texts.